Looking for movie tickets? 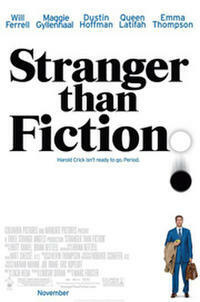 Enter your location to see which movie theaters are playing Stranger Than Fiction (2006) near you. A mentally unstable IRS auditor (Will Ferrell) hears an author's (Emma Thompson) voice in his head. Touching dramedy is heavy; won't interest most kids.